"Self, Good Day. ": wedding for my homegirl! Guess what happened two and a half weeks ago that I haven't blogged about yet? Danielle and Dillon got married! Woooo!! Danielle is (well I guess I mean she was) my roommate and her and Dillon started dating way back in the beginning of 2012, engaged this last March, and then married on June 21! Woo! Since Danielle has been my roommate for the past two years, I got to basically be the third wheel to their entire relationship. That's not actually a joke. I'm sure I hung out with them way more than they ever wanted, but nbd whatever. That's what happens. Plus, I'm so super fun, so I'm sure they were having a blast. Also because Danielle is my roommate, that meant that there was a whole lot of wedding planning going on in my apartment for the past few months. Also a lot of decorations. And presents. It was cray, yo. 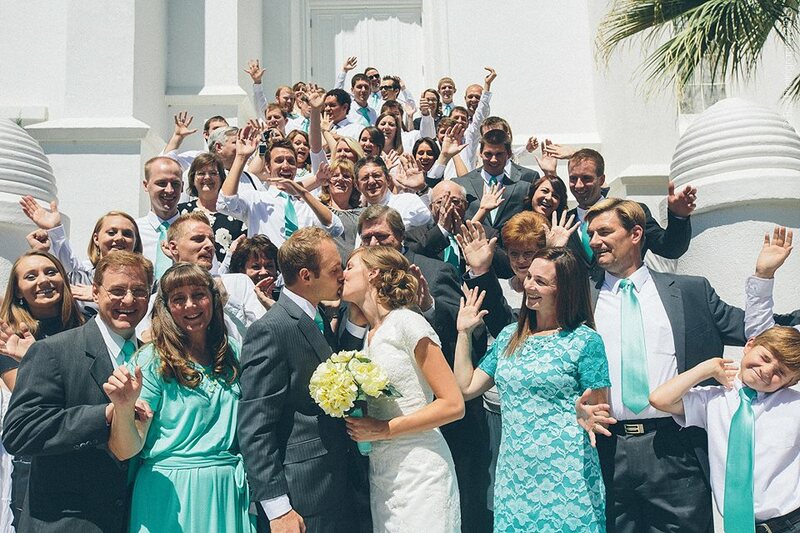 They were married on a Friday down in St. George, Utah which is like 3.5 hours away from where we live in Provo. They drove down on Wednesday, and then I was driving down with Levi on Thursday afternoon/evening. Because we were coming down and their car was already quite full, Danielle asked us to bring the wedding dress in our car as well as the wedding cake (which she was making herself--what we brought down was just the layers of cake before they were all put together). Um, talk about stressful. What if we had been in an accident? What if the car broke down and we never made it? What if the door accidentally flew open and the dress went flying out? Sheesh. I mean, you never know. Also, this is my favorite. Levi never got around to mentioning to his parents that we were going down to St. George for the weekend, so as we were driving he started chuckling because he was imagining what would happen if we happened to stop at a gas station and his parents were also there. He imagined his dad walking up to his car and being like, "Why hello, son. What are you doing? Where are you going? Why are you and a girl headed in the direction of Las Vegas? With a dress in the backseat? And a cake?" Haha, it was funny to think about. Anyway, we made it safely down there and met up with the rest of the homies. It was a late night with last minute wedding prep and getting the cake put together (and also the last game of the NBA finals), but we finally got to bed around 1 am, I think. 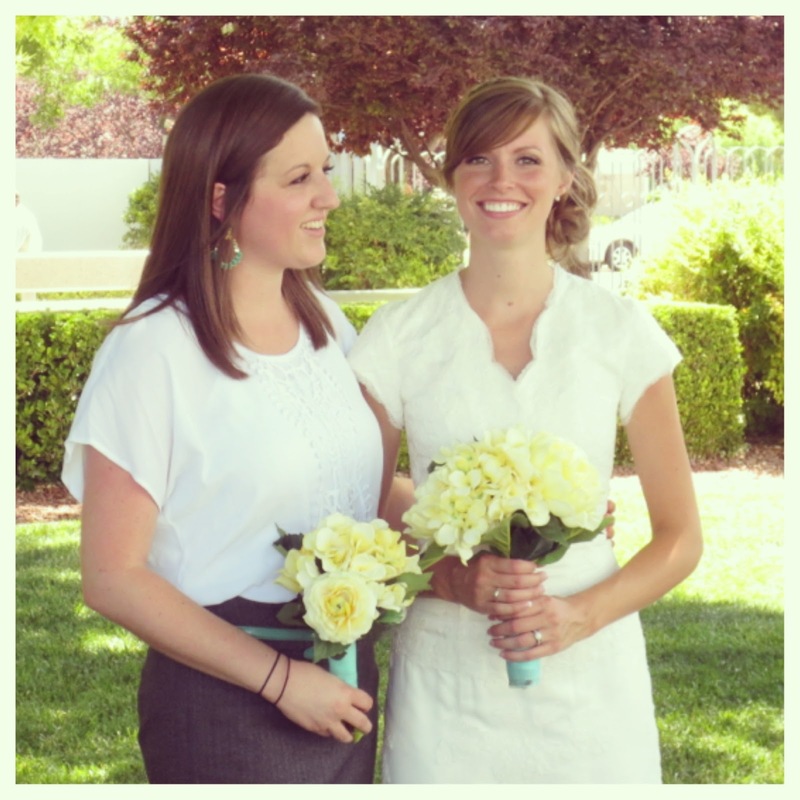 In the morning, our friend Allison did Danielle's hair and makeup and she got all pretty and ready to go to the temple. She looked so super beautiful and it was just the happiest when they came out of the temple. It was really a fabulous day. They had a luncheon afterward which was delightful. Also, since I was the maid of honor, they asked me to say the prayer at the beginning. I know you're like, why are you even mentioning that? And I mention it because if you know me, you know that praying in front of lots of people freaks me out. It's complicated. Anyway, I love Danielle and (kind of) Dillon so much that I did it anyway, regardless of my stage fright. You are welcome, guys. 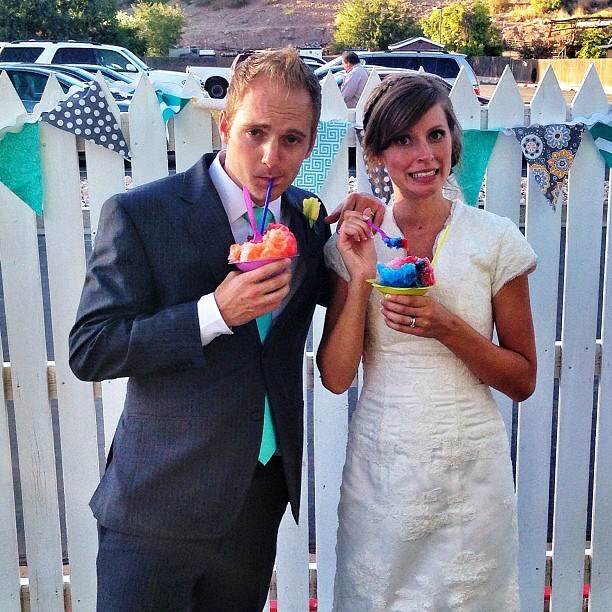 The reception was also awesome mostly because they had delightful food including sno cones from Hokulia! Hokulia sno cones are totes litz the best sno cones on the planet earth. So this is my plug for them. Look them up on facebook because if you live in Utah, I bet there is one relatively close to where you live and you NEED to go have one. Overall, such the awesome wedding and I'm so super happy for those guys. I'm also happy that they don't have a washer and dryer yet which means they still come hang out with me. That, and also Danielle still has a bunch of stuff at the apartment. Ha. 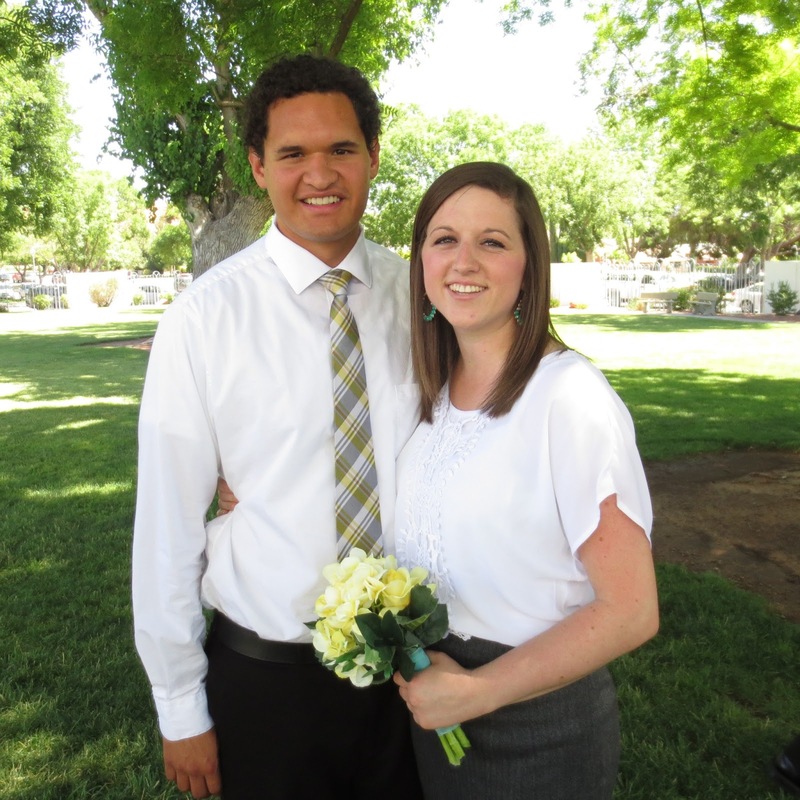 And just to end this, I want to say thank you to Levi who drove down with me to the wedding and hung out with me all day in the St. George heat even though weddings are not his favorite thing (but he likes Dillon and Danielle, so he actually liked it). You guys, this guy is great. I'm lucky. HOT couple. And I'm referring to you and Levi, although Danielle and her hubby are also an attractive couple.